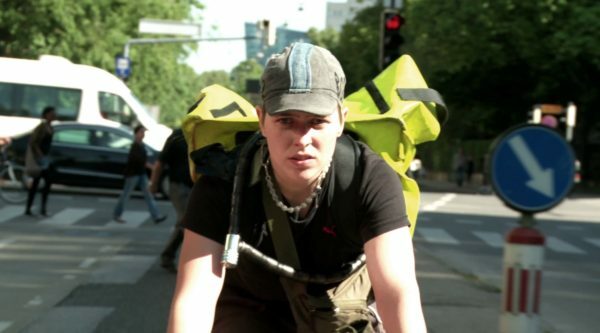 This second documentary from Austrian filmmakers Katharina Lampert and Cordula Thym with its most prefect title, tells the story of several people who fit somewhere along the genderqueer spectrum, but most of them are still undecided exactly where they want to be right now on this sliding scale. All of them were born as women but have chosen to transition to some degree to either become transmen or settle for a non-binary role, and on camera they articulate quite beautifully on their journey to date and what it means to them. Several like Mani are very self-assured about the fact that they do not want to be regarded or defined by either of the traditional genders, and whilst they are comfortable with this, they relate however that outsiders/strangers simply experience difficulty with accepting this. Then there is Nick who is finally at ease with his new body and with his ongoing relationship with polyamorous Deniece who seems to take some delight in shocking people with her own fluidity. What is shocking to discover is the bureaucracy that Austrian society make anyone undertake if they wish to have their new gender accepted, such as the months of paperwork just to be allowed to adopt a new name that is not on the ‘official register’ of approved names. Worse still, before 2010 any FTM had to undergo a hysterectomy before they could be legally change their gender. This rather compelling movie seemed to serve as cathartic experience for all those taking part, but more essentially it helped to continue the essential dialogue about helping understand all the many differences within the trans and genderqueer community. Intelligent and well-crafted movies like this play such a crucial role in fostering our desires and need to help be a more inclusive and tolerant society.